Jennifer emailed to see if I'd like to try out The Digest Diet Cookbook. Ironically I had been thinking that I should lighten up a bit, so the timing was good especially since I'm not the dieting type. My Granny went on every fad diet that ever came out, and I remember seeing meal plans with things like soft boiled eggs and beets. Ugh. I've just always done the "cut back here and there" route. Having always loved Reader's Digest magazine which was always beside the toilet at Poppaw's house and then a staple in my parent's home, I thought it was worth a shot to check out the book. 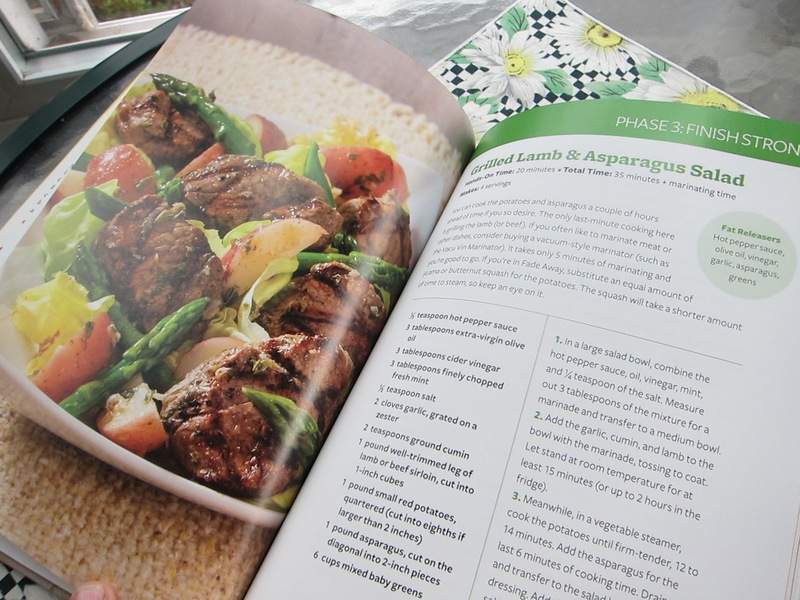 When The Digest Diet Cookbook arrived, I sat down and read it. Yes. I actually do sit down and read cookbooks. I suppose you could call me a food nerd. First I'll say that this diet cookbook is very well written and organized so easy to follow and understand. I do suggest actually reading it (maybe not word for word on recipes until you're ready to make them), but read over the first part where Liz Vaccariello goes over her approach and how the diet comes together to work for most anyone - even barbecue masters. The Digest Diet Cookbook builds around (at the start especially) healthy shakes or smoothies (whatever you'd like to call them). They provide that "treat" factor with some sweetness and energy as well as ingredients that help release fat (per the research of the author). I'm not a real shake type of person, but it is easier and quicker to start the day off with a healthy shake than to make a meal. And, I'm the type to skip breakfast. Yes. I know that's a bad habit. I'm working on it. The first few days are shake and soup focused which kind of scared me to start with. Where's my meat? The theory though is that this kind of jump starts your body to lose weight and you get some quick results which is encouraging. I suspect it is a real downer to go on a diet and not lose but a pound or two in a month. So, the idea here is to start off successful with some quick results which would incline one to keep on a diet rather than quit after a day or two as I suspect many people are prone to do. Now don't worry. 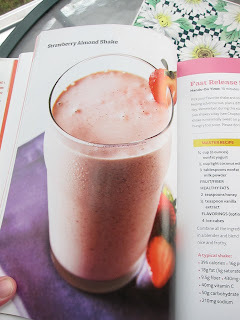 You aren't drinking shakes the rest of the month or your life, although the author is big on these for starting off the day with adjustments to them across phases as you move toward a healthy and sustainable diet that fits most lifestyles. A Griller Friendly Diet - Yay! I was happy to see that grilling was specifically mentioned when talking about healthy cooking styles. You can do lean meats on a grill and have a low fat and calorie meal packed with flavor. I already knew this, but I don't recall anyone putting that in a book about dieting. As far as the recipes, you can see above that there is a grilled lamb recipe which looks wonderful. Most of the recipes are designed and tested in the kitchen; however, most things that can be made inside can be made outside. You just need a few grilling accessories like a grill dedicated baking pan and a wok - inexpensive grilling items like that. The way this diet works out (after the first few jump start days) would be that you have mix and match foods for burning fat. It's a broad list and not just some boiled beats like back in Granny's days of dieting. There were plenty of things that I could pick from and then combine as I liked just picking off the lists. Then, there were the recipes to help bump things up beyond just picking a lean meat and vegetable and so on. The program is set up with three somewhat intense weeks and then you can follow the main guidelines and use the recipes and maintain the weight you dropped. They had several people featured in the book who lost weight and inches including one guy who dropped 26 pounds in 21 days. My barbecue apron is off to him. My results were not as amazing, but I don't stay on track as well. (Those rib eye steaks and grilled butter tators get to calling my name now and then.) I can't give you an exact number, because I threw out my scales around 15 years ago. I can tell by my clothes when I'm up or down. By following The Digest Diet I was able to get back in a size smaller on my pants that had been sitting for a few months. 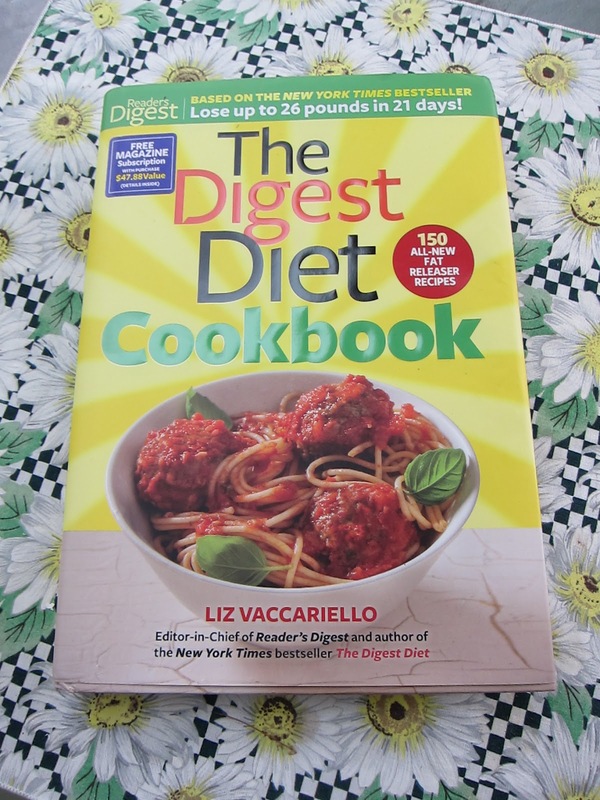 I must go thumbs up on The Digest Diet Cookbook and say that it's a good program for those of us who love to grill. I'd love to see Liz Vaccariello come out with another book focused on recipes just for the grill. Maybe some day . . . 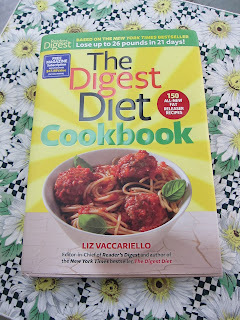 This is the second book for The Digest Diet, and they also have a Digest Diet FaceBook page with ideas and support. I'll have to check out the first book, and I have been enjoying the FB page.